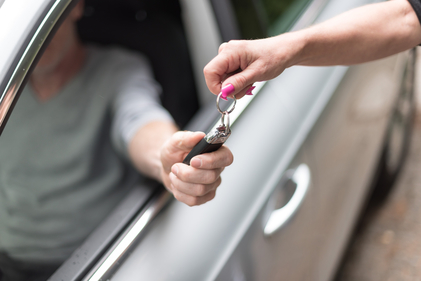 Buying a car privately is usually cheaper than buying one from a dealer, but this is not always the case – especially if you don’t conduct a sufficient background check of the vehicle you plan to purchase. Researching and inspecting the vehicle (and not to mention knowing your rights as a buyer) will stand you in good stead financially and will ensure your safety as the driver. You’re not entitled to a cooling-off period (that is, after you sign the contract, there’s no window of time where you can change your mind). You won’t get a statutory warranty (a statutory warranty only applies to vehicles bought from a licensed motor vehicle dealer). The seller doesn’t have to give you a Personal Property Securities Register certificate or a clear title guarantee. You won’t be able to make a claim for compensation if anything goes wrong and you lose money. Belongs to the person selling it and is not listed as stolen. Is what the person says it is. Has no unpaid debt attached to it—if you are aware of any debt attached, you must ensure the current loan is paid out before the time of sale (you can ask the seller to obtain a payout amount before the sale) or has no title held by a financial institution. By now, you’re probably wondering if it is actually possible to spend less on a used, privately owned car than you would on a new car (or, if it’s worth going through the process at all). Unfortunately, the process just takes time – maybe even months of digging and doing your homework to make sure you get the car that is right for you (i.e. safe to drive and not burdened by outstanding debt). One of the benefits of acquiring an Ezilend loan for a used car purchase is that we can help you with the tedious process of researching. We can do valuations on your behalf so you can be assured that the offer price is realistic (and we will do these valuations for free!) Your protection is important to us – we want to help you check all the boxes you can before purchase. Sign up for an Ezilend loan and we’ll make sure your personal and financial protection is… Ezi! Remember: consumer rights may vary from state to state. Search the links below for more information on how to safely buy a used and privately owned vehicle in YOUR state.